I really do love teasing you guys on Instagram by showing y’all pictures of the recipes coming soon to the blog. 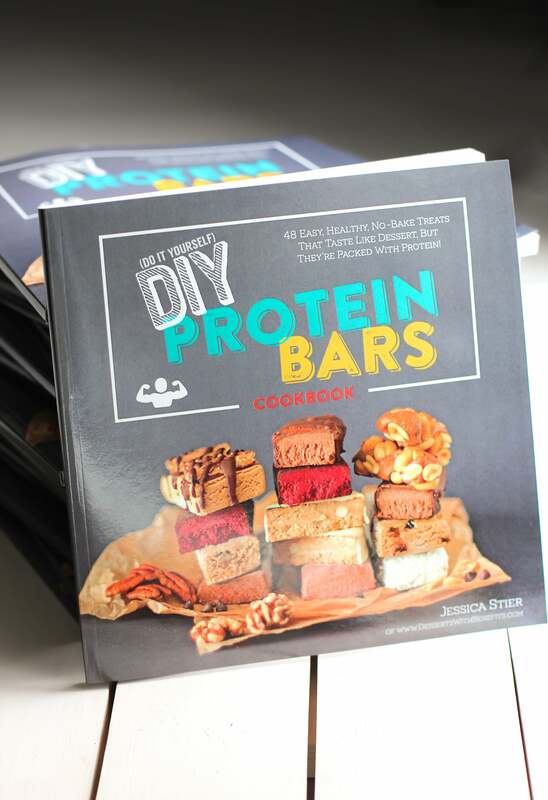 Everyone seemed to be really excited about these Healthy Peanut Butter & Jelly DIY Protein Bars! And for good reason. Because these are damn delicious. 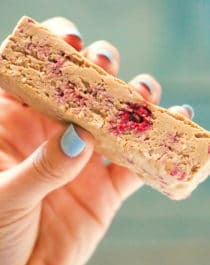 Creamy peanut butter and freeze-dried raspberries form a delectable duo in these super easy, no-bake homemade protein bars. 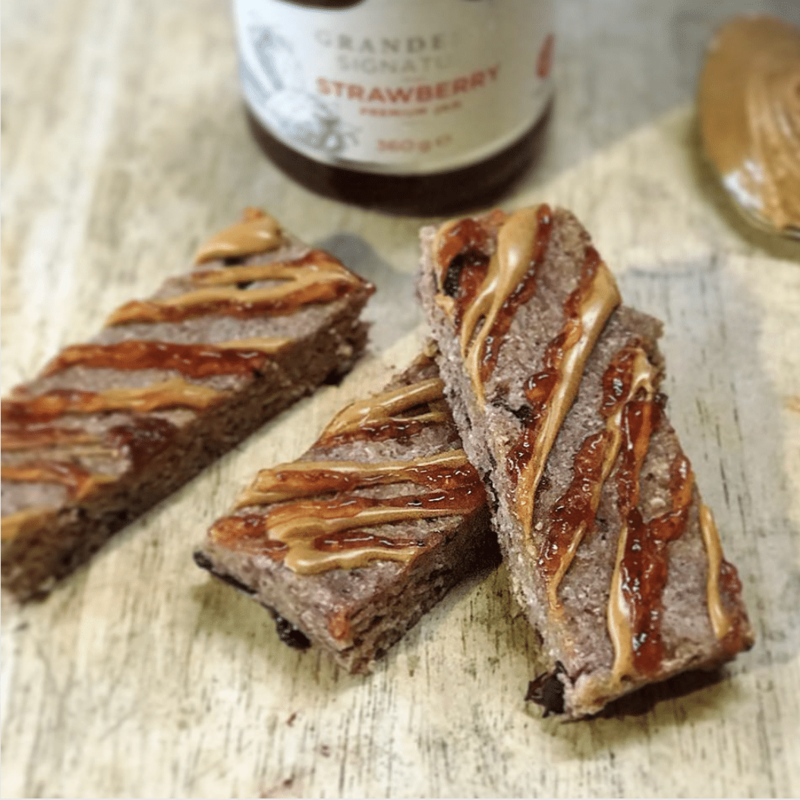 These Healthy Peanut Butter & Jelly DIY Protein Bars are the perfect snack for when you’re craving something rich and sweet, but don’t want all the excess calories, fat, and sugar. Made with only 8 simple ingredients and no baking required, these will be your new go-to snack when you’re in a hurry and on-the-go. I think I’ve discovered my new favorite breakfast. Just look at that texture! 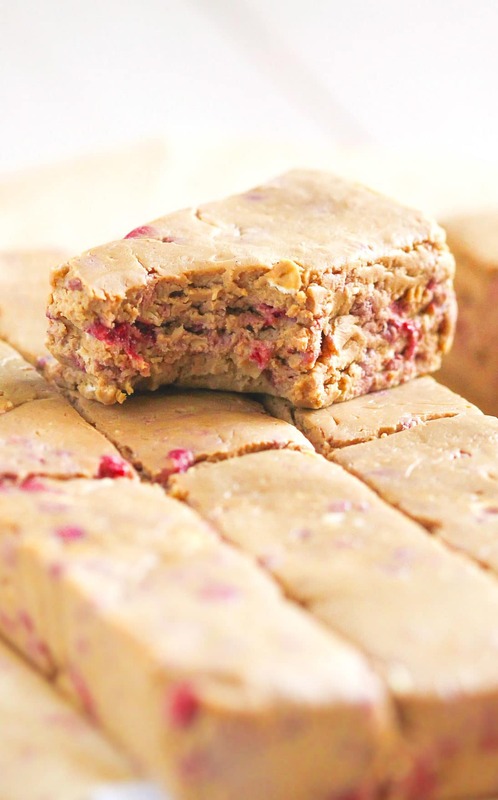 These Healthy Peanut Butter & Jelly DIY Protein Bars are literally TO DIE FOR! These easy, no-bake Healthy Peanut Butter & Jelly DIY Protein Bars are not only fudgy, sweet, and delicious, but sugar free, gluten free, and vegan too! Line a 9x9” brownie pan with parchment paper. Set aside. In an electric stand mixer bowl fitted with a beater attachment, add all of the ingredients except for the freeze-dried raspberries. Mix on low speed until everything is fully incorporated. Scrape down the sides of the bowl. Add in the freeze-dried raspberries and mix on medium-low speed for one last mix. Mixture should be thick and fudgy, like cookie dough. Scoop the mixture into the brownie pan and flatten it out. Tightly cover the pan with plastic wrap and refrigerate overnight. Lift the mixture out of the pan. Slice into 12 bars. Individually wrap the protein bars in plastic sandwich baggies. Keeps in the refrigerator for ~1 week, or in the freezer for up to 3 months. @_lee__lee_x made a batch! How good do these look?? I have been loving these recipe videos lately. They are so good! I’m a visual person so having someone walk me through the whole process step-by-step help me out. These protein bars would make childhood Kaylin and adult Kaylin really happy at the same time. Childhood Kaylin looovveedd PB&J sandwiches and adult Kaylin loves tasty protein bars. These look amazing. I’m drooling over the photos right now! I love that you can make them ahead and freeze them for up to 3 months but I suspect there won’t be enough left over to freeze once I start eating them. They really do look delicious. WOW, look at the macros on those bars! And they look absolutely delicious–better than any other store-bought peanut butter and jelly bar I’ve seen! Cannot wait to try them out! Mine are still really soft even after being in the fridge overnight…any suggestions? Did you substitute any of the ingredients? And did you measure everything out using a kitchen scale? Can you use a pea protein instead? Hi ! What can we use instead of peanut flour ? There isn’t a substitute for the peanut flour — it’s the main ingredient in the recipe. Didn’t work for me either i’m afraid – went soft again when I took them out of the fridge. Popped them in the oven for 20 minutes and they set nicely though, so no harm done – and very tasty! Oh no! Did you substitute any of the ingredients? And did you measure out the ingredients using a kitchen scale? Because almond flour is not an acceptable replacement for peanut flour. Peanut flour absorbs A LOT of liquid, while almond flour doesn’t. Hands down the worst tasting thing I have ever tasted. Did you substitute or omit any of the ingredients, like the stevia? That’s an ingredient that cannot be removed.